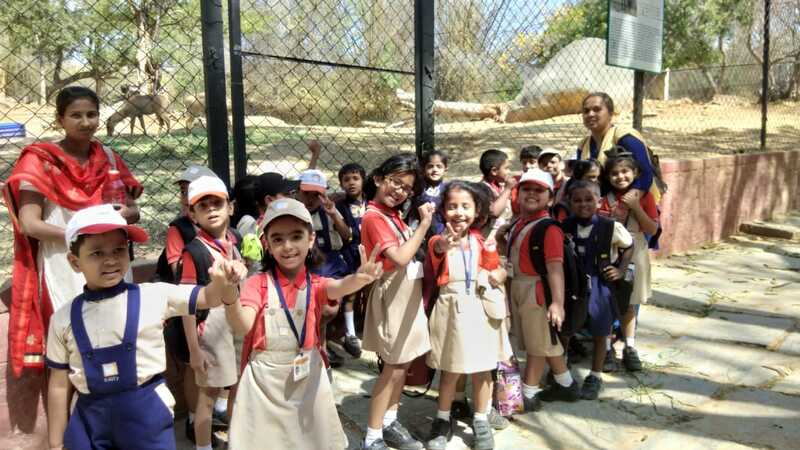 As the extension learning of Inquiry Module -4 on the topic “Animals has different characteristic and are important for us and our planet”, a fun filled field visit to Bannerghatta National Park (zoo) was organized for IK3 children. 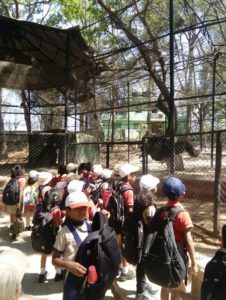 Students were very excited to see all types of animals, birds and reptiles. There were several of them; some in cages while others in small sanctuary type spaces. 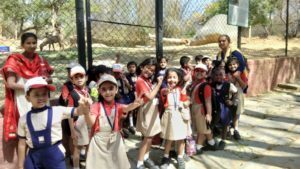 They loved looking at the exotic animals like zebras, bear, tigers, hippos, snakes, turtles and deer. They saw many care takers feeding the animals at around 10:30 am. After that we went towards the bird sanctuary. There were many colorful birds including many types of parrots. 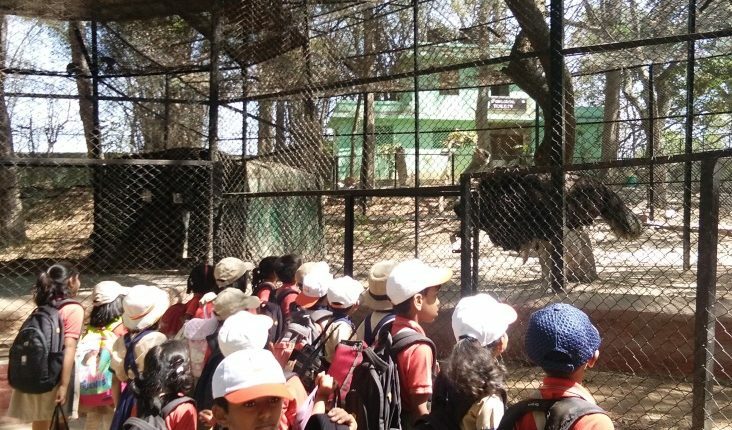 Students were happy to see our national animal (tiger) and our national bird (peacock). Students were very curious to see all the animals and enjoyed and marched like soldiers exploring the zoo.